SYDNEY'S top companies are dominated by three of the five banks in Australia with a combined market capitalisation of $285 billion. As for the rest of the top 50, most are household names while others fly under the radar despite establishing a global presence. Sydney is the quintessential FIRE (finance, insurance, real estate) city, so banking and financial services dominate with 13 of the top 50 but there has been a new entry into the list along with a couple of "movers" who've increased their market caps considerably over a period of 12 months. The logistics software firm WiseTech Global doubled its market cap since listing in 2016 to enter the top 50 at number 44, while the world's biggest hearing implant maker Cochlear keeps on growing rapidly and poker machine maker Aristocrat entered the top 20. The Sydney Top 50 Companies list was compiled on market capitalisations at the end of November 2017. 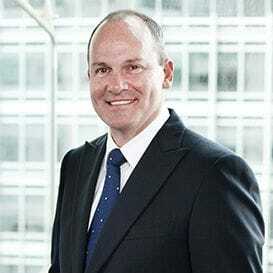 THE beginning of FY18 has been controversial for Australia's biggest bank, as it became embroiled in a money laundering scandal which lead to the subsequent resignation of CEO Ian Narev, the announcement of an inquiry by the corporate regulator and the threat of a class action law suit from disgruntled investors. Despite the controversies, CBA is still Sydney's top company by market capitalisation and it still produced a full year profit of just under $10 billion. The federal government's financial crime agency, AUSTRAC, launched proceedings in theFederal Court alleging CommBank engaged in 'serious' and systemic breaches of anti-money laundering and terrorism financing laws. It's alleged the bank breached the law for a period of three years on more than 53,000 occasions and relates to its network of so-called 'intelligent' automated cash deposit machines (IDMs). The IDMs used by the Commonwealth Bank accept deposits both by cash and by cheque and the transactions had a total value of $624million. 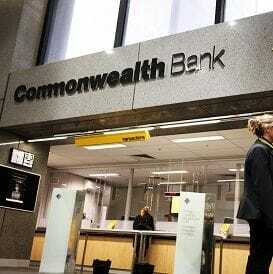 Following the allegations, Commonwealth Bank suffered in the court of public opinion. Ian Narev and senior executives made the decision to not receive a bonus in the wake of the scandal and, ultimately he announced he would be leaving the bank in 2018. Matt Comyn was announced as Narev's replacement in January 2018 and is tasked with turning around the culture at CBA. He was just 36 when he was handed responsibility in 2012 for its largest division, retail banking services, and is regarded as a well-rounded executive who is no stranger to a crisis. Comyn led CBA's response to the Storm Financial debacle and identify where bank failures had occurred and he'll be tasked with handling the pending banking royal commission. The bank also offloaded its life insurance business in September to Asian giant AIA in a deal worth $3.8 billion as it also considers the future of its global asset business. The deal was flagged as CBA announced its $9.9 billion annual profit and the sale will be recorded as a loss of about $300 million for CBA, but will release approximately $3 billion of common equity tier 1 capital. Australia's second largest bank celebrated its 200th year in 2017 and it takes the number two spot thanks to its $110 billion market cap and a net profit of $7.99 billion for FY17, which is up 7 per cent on the previous year. Like CommBank though, Westpac has had a controversial start to the 2018 financial year as it faced a trial launched by the corporate regulator ASIC as it opened its trial against Westpac over alleged misconduct and market manipulation of the Bank Bill Swap Rate (BBSW). 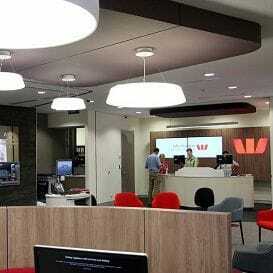 Westpac was one of three banks which faced trial on allegations of rate rigging between 2010 and 2012. ANZ and NAB reached in-principal settlements with ASIC to pay penalties which are believed to be $50 million each. It also announced it will spend some of its earnings, around $118 million, on "putting things right" for disadvantaged customers in the form of refunds and payments to super customers who lost out thanks to unsatisfactory disclosure practices, package customers who did not receive benefits to which they were entitled, and others who did not receive on-time advice to which they were entitled. Despite the negative publicity, Westpac has enjoyed solid growth which is largely underpinned by a boost in Australian mortgages. In August, Westpac made a strategic investment of $40 million into listed fintech group zipMoney (ASX: ZML). As part of the relationship, the two companies will explore other initiatives including the provision of currently in-development business-to-business products and services. 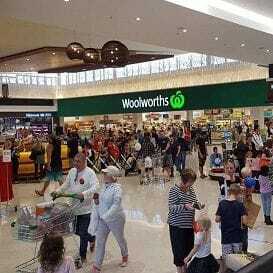 Woolworths bounced back from its first loss in 23 years as a listed company to report a full year 2017 profit of $1.53 billion as it lifted comparable food sales by 3.6 per cent on the back of a nearly $1 billion investment in lowering grocery prices. It followed a $1.23 billion loss in 2016 as it was forced to write down the failed Masters business to the tune of $2.63 billion. BIG W, one of the brands under the Woolworths umbrella, was for the second year running a blight on the company's report card. BIG W reported a loss of $150.5 million. This result follows a concerted attempt by the company to turnaround the fortune of the department store, and going into FY18, Woolworths doesn't anticipate much of an improvement any time soon. "FY18 will continue to be a year of investment for BIG W and we do not expect a reduction in losses as we continue to invest to improve the customer shopping experience, including re-establishing price trust," says CEO Brad Banducci. Sales at Big W fell 5.8 per cent on the previous year to $3.6 billion, which Woolworths says was down to a "continued multi-year decline in transaction count" and price deflation driven by clearance and discounting. In November, Big W CEO Sally Macdonald resigned after just 10 months in the job and her successor, David Walker, set up Masters for its sale. The story for 2018 for Woolworths, and its main competitor Coles, will be the strong performance of Aldi on the east coast with German chain set to grab 10 per cent of the $108 billion grocery market. 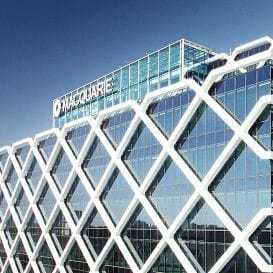 AGAINST the backdrop of the introduction of a $6.2 billion tax on Australia's banks, which includes Macquarie Group, CEO Nicholas Moore announced a first half profit of $1.25 billion and an on-market buyback of up to $1 billion thanks to a $4.2 billion capital surplus. The company's highly incentivised staff have earned it the nickname "The Millionaire's Factory" and Moore picked up $18.7 million, more than triple the salary of Commonwealth Bank's Ian Narev. Its net profit for the six months to September 30 was up 19 per cent while income rose 3.4 per cent, driven by a significant lift in fee and commission income of $2.6 billion. Moore railed against the Federal Government's proposed bank levy in June, telling the Senate Committee that Macquarie Group should be excluded from the tax on the grounds that it was a minor player in the domestic market. "Macquarie Bank has less than two per cent market share in the domestic mortgage market, less than 2.5 per cent in deposits, less than 2 per cent of Australian lending and advances, and less than 1.5 per cent of the credit card market," Moore said at the time. The bank also announced that former Reserve Bank of Australia governor Glenn Stevens will join the boards of Macquarie Group and Macquarie Bank as an independent director from November 1. AUSTRALIA'S largest mall owner is regarded as something of a market bellwether and its third quarter update for 2017 reflected this in the form of weaker consumer sentiment. The retail property giant's store tenants suffered sales declines of 6.7 per cent for the nine months to September 30 although the launch of the new iPhone X helped tech sales grow by 6.5 per cent. The company was created in 2014 when it was spun off from Frank Lowy's Westfield Group. 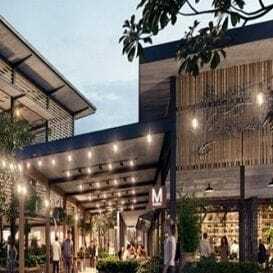 Total sales for the nine months were up by 1.7 per cent to $23 billion and it has $1.1 billion in developments in the pipeline with yields of more than 7 per cent including the $470 million Westfield Coomera development on the Gold Coast, the $160 million Westfield Kotara in Newcastle and the $80 million Westfield Whitford City entertainment precinct in Western Australia. Many of the company's shopping malls have also been receiving upgrades as CEO Peter Allen takes Scentre on a strategy of transforming the malls from simple markets into places which have been described as "true community hubs". Scentre has Australian and New Zealand retail real estate assets under management valued at $47.4 billion and shopping centre ownership interests valued at $33.6 billion. This comprises 39 Westfield shopping centres. THE GLOBAL shopping centre landlord hit the headlines in December 2017 when it agreed to sell to French shopping conglomerate Unibail-Rodamco in a deal that values Westfield at US$24.7 billion (AUD$32.8 billion). 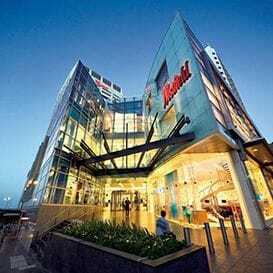 The deal, which was was unanimously recommended by both the Westfield and Unibail-Rodamco boards, builds on the international giant's portfolio which now boasts a combined gross market value of US$72.2 billion across 27 different markets and 104 individual assets, most of which are shopping destinations (84 per cent). Subject to the approval of the transaction, Sir Frank Lowy will retire as chairman, and sons Peter and Steven Lowy will retire as Co-CEOs of Westfield. The group will have its headquarters in Paris and Schiphol, with two regional headquarters in Los Angeles and London. Post-transaction, Christophe Cuvillier of Unibail-Rodamco will take over as CEO and Colin Dyer will be the group chairman of the supervisory board. Prior to the deal, Westfield had adopted a similar strategy to its spin-off company, Scentre, with the creation of "community hubs" driven by leisure and food sales in its redeveloped properties. It's a strategy designed to counter the increase in online shopping by offering experiences beyond "click and pay" for consumers. The company revealed flat third quarter growth in the face of a dramatic shift to online retailing in the US in particular, where most of Westfield's assets are now located. The company says the rapidly shifting retail landscape means that places like Westfield have had to transform, to not only just be shopping centres, but shopping experiences. "We are creating great experiences for retailers, consumers and brands. We have evolved the composition of our portfolio through the addition of food, leisure and entertainment, and a broader mix of uses including many new concepts, emerging technologies, and online brands," the Lowys say. During the first half of 2017 Westfield made progress on a number of key developments including the US$1 billion redevelopment of their Century City centre in Los Angeles, and the GBP600 million expansion at Westfield London. INSURANCE Australia Group reaped a bumper full year net profit increase of 49 per cent thanks mainly from its investment income which benefited from stronger equity markets in Australia and overseas. Insurers, like IAG, generate a lot of their income from investing they money collected through premiums into the markets and with $457 million in its previous year's "war chest", the company was able to generate a full year net profit of $929 million. Revenue was down by 1.6 per cent but IAG's profit margin, an insurer's key profit measure, came in at 14.9 per cent, which was at the upper end of guidance and an increase on the previous year's 14.3 per cent. Damage from Cyclone Debbie, the Sydney hailstorm and the New Zealand earthquakes hit the company's natural perils claim budget in FY17 by $140 million above the $680 million that was allocated. IAG says it will be hiking its motor insurance rates in the coming year and warned this was because of a spike in claims and repair costs. It's also been reported to be considering selling off its Asian assets as part of a strategic move to focus on its home market. The inbound tourism market, particularly from Asia, helped drive an increase in passenger numbers, net profit and total revenue for Sydney Airport as all its divisions produced positive results. The airport processed 21 million passengers in the six months to June 30, up from 20.2 million from the previous year, with international travellers increasing by 7.7 per cent and domestic up by 1.3 per cent. The growth in passengers helped generate revenue of $714.2 million for the six months ending 30 June 2017, up from $661.9 million in 2016 while net profit also rose by 4.4 per cent. Visitors from China, India, Philippines, Indonesia, Japan and Vietnam helped drive the growth for Australia's busiest airport while all divisions generated a rise in revenue including aeronautical, retail, property, car rental and parking, which recorded a modest 2.2 per cent rise because of a shift in choice to trains and ride sharing services. 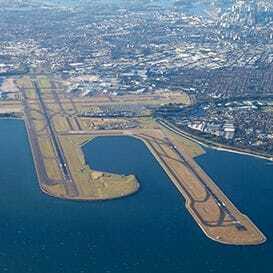 Sydney Airport spent nearly $400 million in capex programs in the 12 months to June 2017 and plans to spend more than $250 million in the second half of the calendar year. Outgoing CEO Kerrie Mather, who announced her resignation in early 2017 after 15 years in the top job, says the spend is designed to improve the customer experience. Retail in both the international and domestic terminals of Sydney Airport grew 14.3 per cent to $162.2 million thanks to new additions in both the shopping and food and beverage categories. High electricity prices hit the airport hard and helped contribute to an $11.4 million increase (9 per cent) in the company's operating expenses to $136.6 million. Sydney Airport will continue with its expansion into hotel development and expects revenues to be boosted by the opening of their new Mantra hotel and the $34.5 million acquisition of an Ibis budget hotel in July. CIMIC Group, the construction giant formerly known as Leighton Holdings, is reaping the benefits of a healthy pipeline of work with the company sitting on nearly $50 billion worth of tenders which are to be bid and or awarded in the remainder of 2017, as well as $320 billion of upcoming projects. The company took full control of UGL in October 2016 as part of its strategic acquisition program and successfully bid for the Gold Coast Light Rail Stage 2 extension, the Canberra Light Rail Stage Once and the design and construction of the Roe Highway in Western Australia. 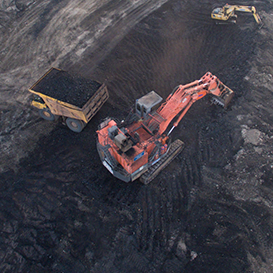 The most recent contract was signed through Thiess, CIMIC's mining services provider, which secured a $300 million contract extension at Harum Energy's Mahakam Sumber Jaya (MSJ) coal mine in Indonesia. The contract extension will run until March 2021, extending a 13-year relationship at the operation. The pipeline of work helped CIMIC report a 22 per cent rise in half-year profit to $323 million and it lifted its dividend 25 per cent with the extra cash in its coffers. CIMIC also reported revenue for the six months to June 2017 rose 28 per cent to $6.3 billion on the back of strong growth across all core businesses. CIMIC, which is majority owned by Germany's Hochtief which in turn is controlled by Spain's Actividades de Construccion y Servicios, also reaffirmed its full-year net profit guidance of between $640 million and $700 million for 2017, up between 10 to 21 per cent on 2016. ENERGY supplier AGL returned to profitability in 2017 on the back of a surge in power prices, an issue which has sparked heated debate at a national level. AGL's CEO Andrew Vesey was among the first power bosses summoned to Canberra for a "please explain" on the increases in power prices as his company turned a $408 million net profit loss in 2016 into a $539 million profit in 2017. The nearly $1 billion turnaround was achieved on the back of major rises in wholesale electricity prices, along with a fall in customer numbers. AGL blamed higher fuel costs and the dismantling of coal fired generation for the rise in power prices and Vesey has urged the Federal Government to implement all 50 recommendations from a major report by Australia's chief scientist Alan Finkel on the energy industry, including a clean energy target. 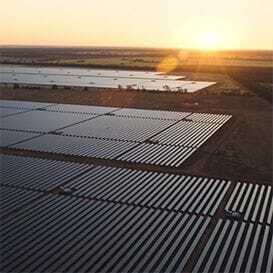 AGL has more than $2 billion of projects under development including a planned $250 million liquefied natural gas import terminal at Crib Point in Victoria and the $900 million Coopers Gap wind farm in Queensland, 180 kilometres north west of Brisbane. AGL expects underlying profit after tax for 2018 to come in at between $940 to just over $1 billion.